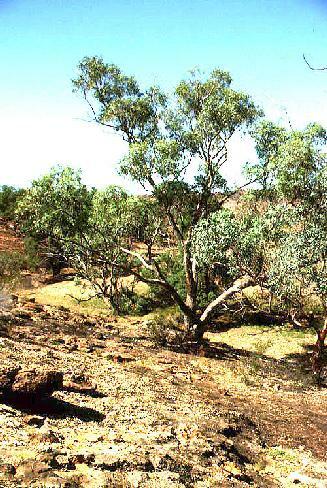 This group consists of more than 400, quick-growing, tender, evergreen trees and some shrubs native to Tasmania and Australia. 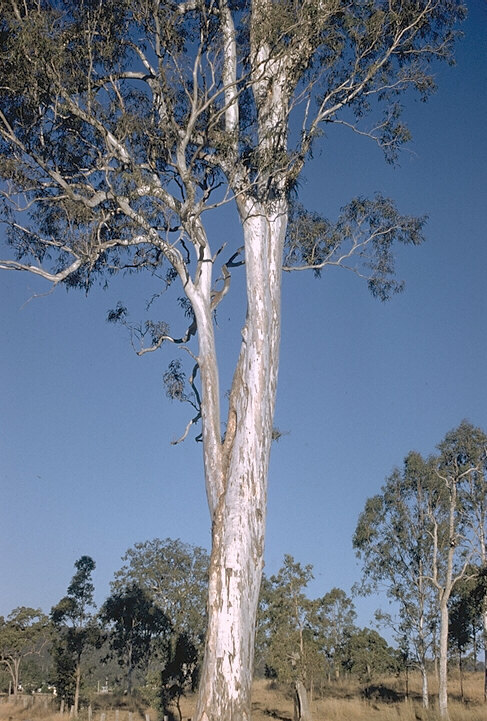 These unique trees can grow to gigantic proportions; some species can reach heights over 400 feet in their native habitats. 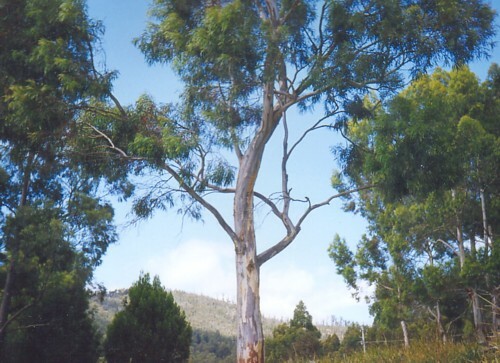 Eucalyptus trees, also popularly known as Gum trees because some species exude a gum, are fragrant and normally pest-resistant. 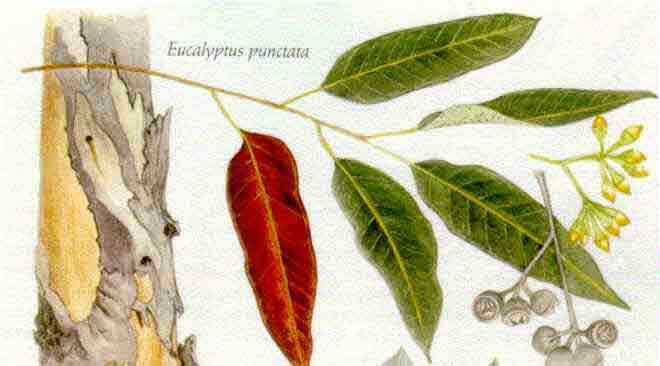 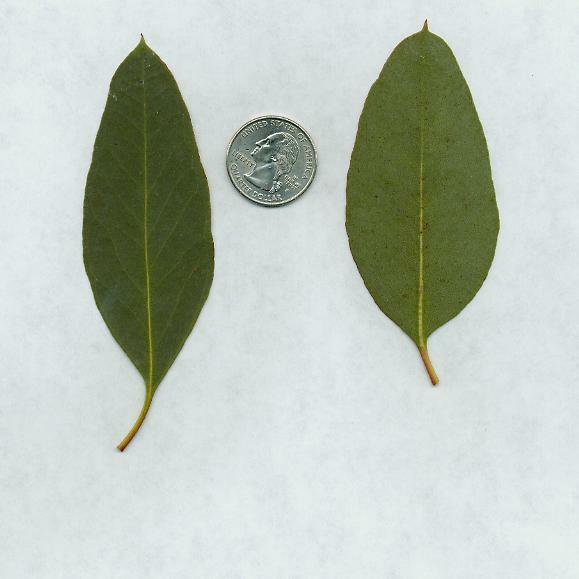 These trees have leathery, smooth, lance-shaped leaves, which have a more rounded shape when young. 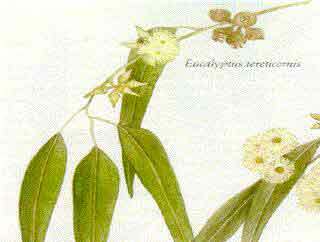 Their puffball-like flowers may be red or orange and are very attractive to bees. 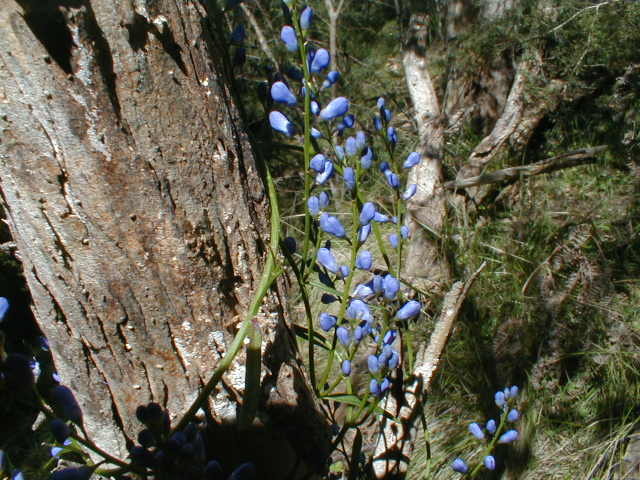 They have no petals, but instead, numerous stamens arising from a capsule-like calyx, which give them their fluffy appearance. 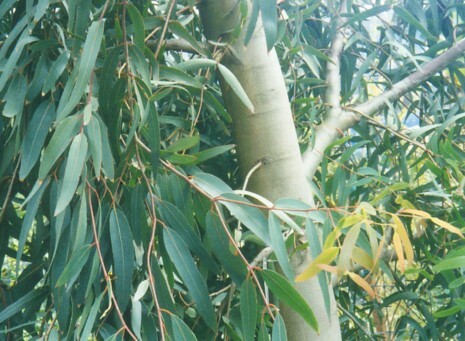 The attractive, colorful bark of the stems and trunks of the Eucalyptus may be dappled in gray, green, russet, or cream and may peel in sheets. 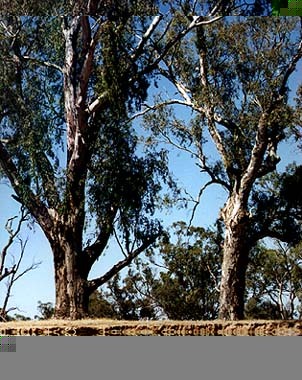 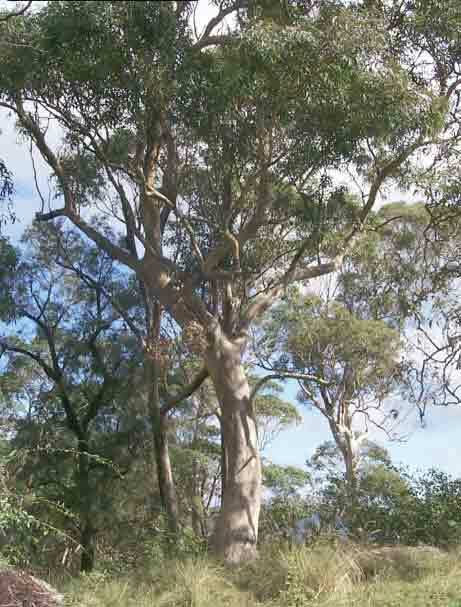 Besides the decorative qualities of the trees, Eucalyptus are valued for their timber, the important oils of the leaves and shoots, tannin, which is taken from the bark of some varieties, and a resinous substance known as kino.